On 20 November, The Essex sighted a school of whales, and all three boats set off in pursuit. But Chase had bad luck again, as a whale immediately holed his boat. Cutting the line on the whale he had harpooned, Chase returned to the Essex to effect repairs. Unable to launch a new boat, as would normally be the practice, Chase quickly set about repairing the boat he had. While he worked, Chase became aware of a huge whale, of some 85 feet in length, swimming in the water 100 feet away from the Essex. As he and the crew watched in alarm, the whale then proceeded to charge the Essex, and struck the bow of the vessel with sufficient force to knock some of the crew from their feet. The crew watched again in disbelief as the whale charged the ship a second time. This impact was hard enough to put a hole in the Essex below the water line. 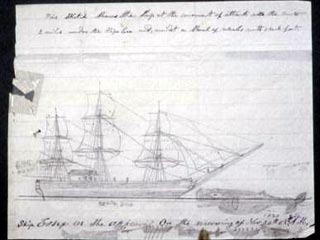 It is not clear why the whale attacked the Essex at all, though it seems likely that by pure chance, Chase's hammering on the deck may have sent signals through the hull of the ship to the whale. The Essex left Nantucket in 1819 on a two-and-a-half-year voyage to the whaling grounds of the South Pacific. On November 20, 1820, the Essex encountered a whale that was much larger than normal, which rammed the ship twice and sank it while the men were pursuing and killing other members of the whale's pod. The ship sank 2,000 nautical miles (3,700 km) west of the western coast of South America. The twenty-one sailors set out in three smaller whaleboats (in this case, used as rescue boats which were carried aboard the Essex) with wholly inadequate supplies of food and fresh water, and landed on uninhabited Henderson Island, within the modern-day British territory of the Pitcairn Islands. On Henderson Island, the men gorged on birds, fish, and vegetation. They found a small freshwater spring. However, after one week, they had exhausted the island's natural resources, and concluded the island would not sustain them any longer. Most of the Essex crewmen got back into their whaleboats, but three men (William Wright, Seth Weeks, and Thomas Chapple) opted to stay behind on Henderson. Excessive sodium in the sailors' diets and malnutrition led to diarrhea, blackouts, enfeeblement, boils, edema, and magnesium deficiency which caused bizarre and violent behavior. As conditions worsened, the sailors resorted to drinking their own urine and stealing and mismanaging their food. All were smokers and suffered severe tobacco withdrawal once their supply ran out. One by one, the men of the Essex died. The first were sewn in their clothes and buried at sea, as was the custom. However, with food running out, the men resorted to cannibalism in order to survive, consuming the corpses of their dead shipmates. Towards the end of the ordeal, the situation in Captain Pollard's boat became quite critical. The men drew lots to determine who would be sacrificed for the survival of the crew. 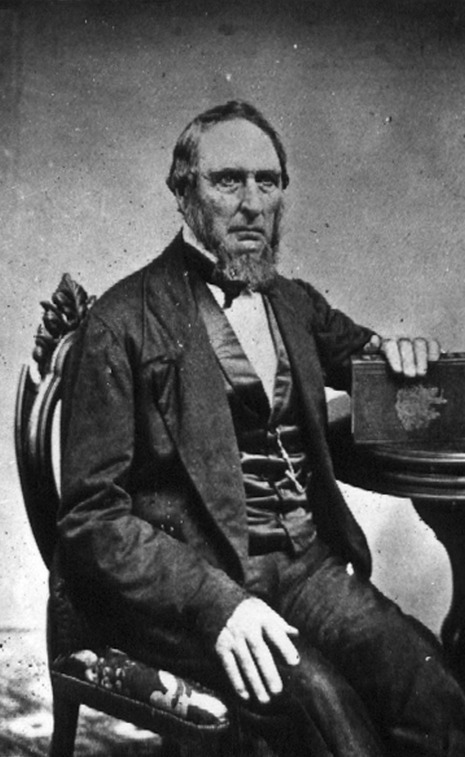 A young man named Owen Coffin, Captain Pollard's young cousin, whom he had sworn to protect, drew the black spot. Lots were drawn again to determine who would be Coffin's executioner. His young friend, Charles Ramsdell, drew the black spot. Ramsdell shot Coffin, and his remains were consumed by Pollard, Barzillai Ray, and Charles Ramsdell. Some time later, Ray also died. For the remainder of their journey, Pollard and Ramsdell survived by gnawing on the bones of Coffin and Ray. They were rescued by the Nantucket whaling ship Dauphin, 95 days after the Essex sank. Both men by that time were so completely dissociative that they did not even notice the Dauphin alongside them. Benjamin Lawrence, Owen Chase, and Thomas Nickerson survived through similarly desperate measures, and were rescued by the British merchant brig Indian, 93 days after the Essex sank. Pollard, Chase, Ramsdell, Lawrence, and Nickerson were reunited in the port of Valparaíso, where they informed officials there of their three shipmates stranded on Henderson Island. A ship destined on a trans-Pacific passage was ordered to look for the men on Henderson. The three men were eventually rescued, although they were nearly dead. By the time the last of the eight survivors were rescued on April 5, 1821, the corpses of seven fellow sailors had been consumed. The ship approached a shoal of whales and three whaleboats were lowered. A large bull was spotted of the port bow of the ship as whales were still being taken. It was a huge whale, estimated to be 85 ft in length, and approximately 80 tons. It was less than 100 yards away, so close that they could see that its giant blunt head was etched with scars, and that it was pointed toward the ship. Suddenly the whale began to move. Its 20ft wide tail pumped up and down, slowly picking up speed until the water crested around its massive barrel-shaped head. Then with a tremendous cracking and splintering of oak the whale struck the ship just beneath the anchor secured at the cathead on the port bow. The ship was now going down. The whale having humbled its strange adversary, disengaged itself from the shattered timbers and swam off.